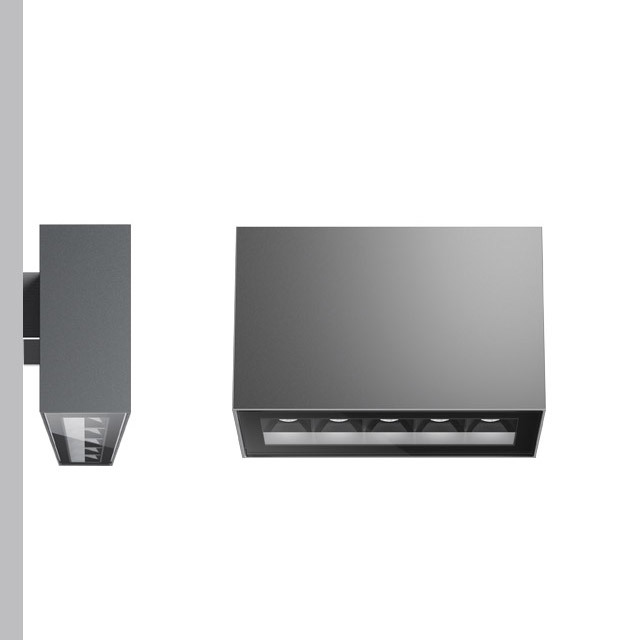 • Rectangular outdoor lighting device with two or ﬁve optical elements and LED light sources. • Comprises an optical compartment, upper base strip, cover casing (wall version), wall or ceiling plate, lower closure glass with black screen printing. 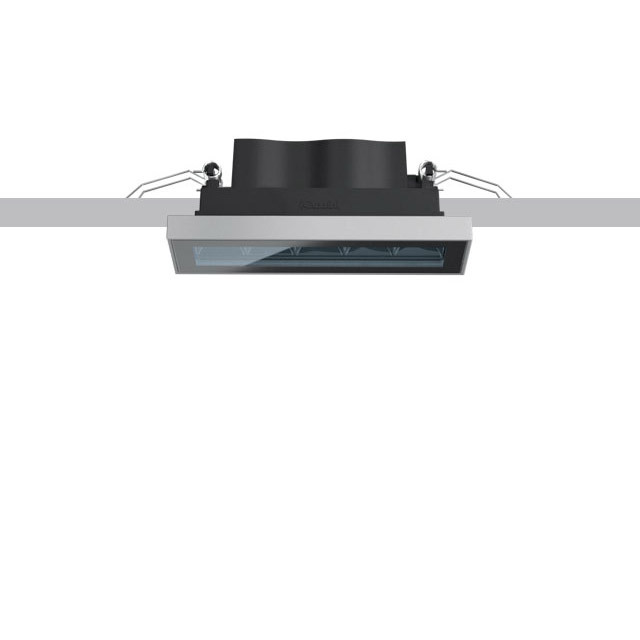 • Optical compartment and upper base strip in painted, die-cast aluminium. • Cover casing in painted plastic (wall version). • Ceiling or wall support plate in stainless steel. • Single PG11 nickel-plated brass cable gland, suitable for cables of 6.5 ÷ 11mm in diameter. • Wiring by means of three quickconnect terminals. • High-deﬁnition OPTI BEAM optics made of metallised thermoplastic material, integrated in the innovative black antiglare screen that deﬁnes emission with luminance control UGR<19. • The special conﬁ guration of the optical system delivers a precise circular distribution without punctiform optical effect.